Medal design shows the talent and the skill of the most famous jewelers of their time in an impressing way. Many known names like Fabergé in Moscow or Le Maitrè in Paris are among those. Each order decoration is a mirror of the time it was made. Several processing steps led to extremely fine and intricately made jewelry. 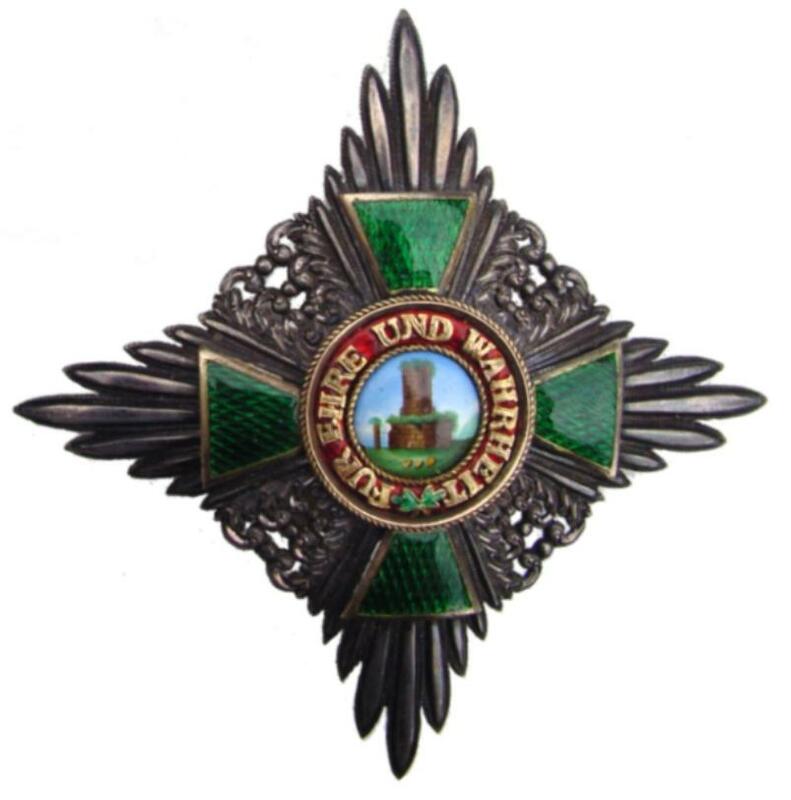 The following cross is an example of this art from the beginning of the 19th century. 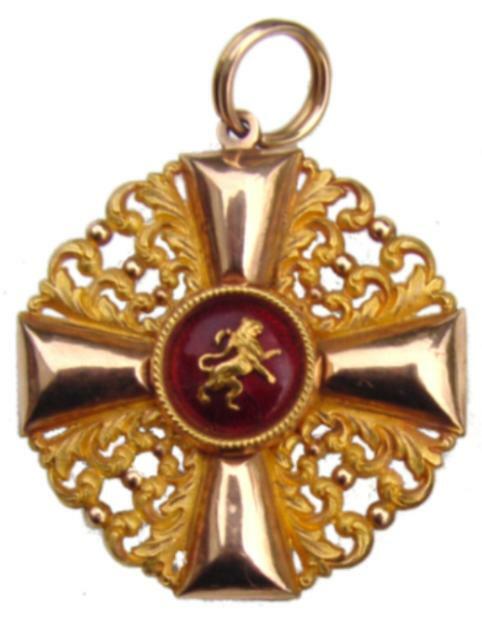 The Order of the Zähringer Lion was founded by Grand Duke Carl Ludwig von Baden in 1810. The Commanders cross consists of several complex, joined individual parts. The cross body is made from red and yellow gold and features silver foil underneath the green glass arms to enhance light reflection. 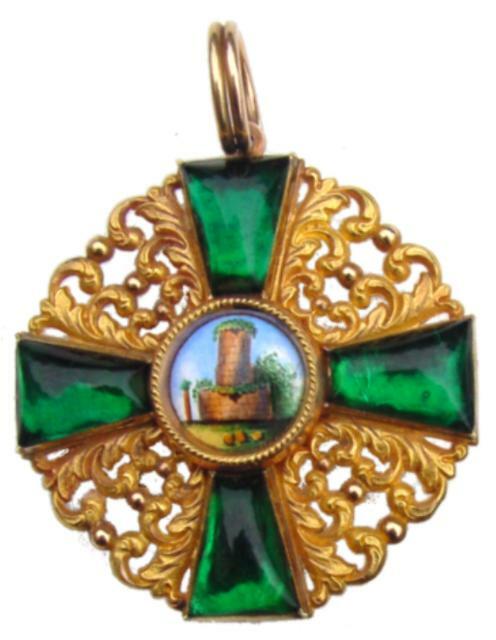 The center of the medal shows the family's castle ruin in finest enamel hand painting. The reverse made completely in gold contains a red enameled center. A miniature golden lion is shown there. Decorations from the time the order was founded are extremely rare, since they would have to be returned to the order’s chancellery after the death of the recipient. Only in special cases the valuable pieces could be kept by the recipient’s family. With the beginning of the 20th century, the surviving family had the possibility to buy the order from the state. In most cases however, the order was returned because its value equaled a weekly income.